When we talk about personal growth and development the concept of "comfort zone" keeps coming up again and again. The common refrain is that one must "get out" of their comfort zone in order for "cool things to happen"
Intuitively and metaphorically this makes a lot of sense and is absolutely true. However, how meaningful is this from a practical and actionable standpoint. In terms of psychology and how the brain works is this the best thing to do? Getting out of one's comfort zone is important and often that stimulus is exactly what's needed for growth. Please take a look at the video below for a slightly different take on just how to do that. 2. Look introspectively and try to determine what the boundaries of your comfort zone really are. 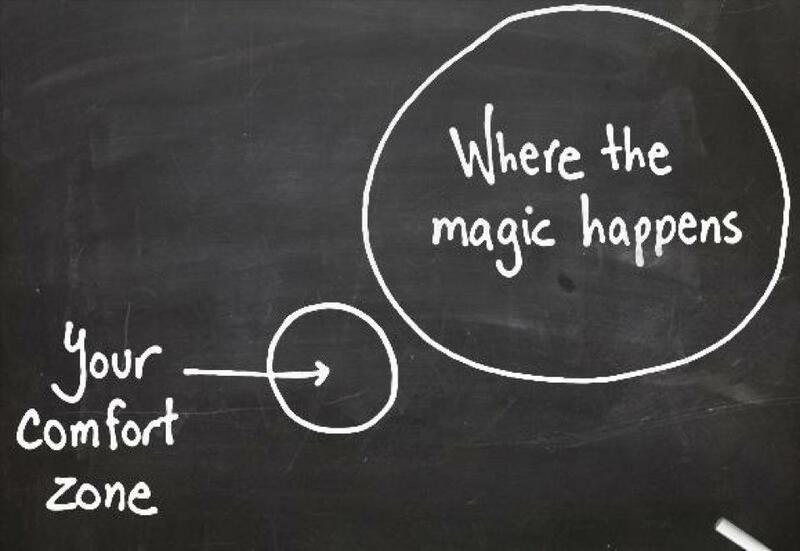 Often, you will find that your comfort zone is much smaller than you think or like to believe. 3. At first, what are some small ways that you can push your boundaries? Small ways does not necessarily imply little things. Rather, find ways that you can challenge yourself yet still be successful (or mostly successful). It is this series of small stresses and successes that truly provides the needed stimulus and grows our comfort zone. 4. Of course, my recommendation is to consider martial arts training. These days it is out of the norm for most adults to train in the martial arts. Interestingly, almost 30 years ago, when I began my martial arts journey the opposite was true. Martial Arts training was largely dominated by teens and adults. Today, the approach to martial arts education has evolved and is implemented specifically for children. But what about adults? For the some that may have learnt martial arts as a kids, the movements and methodology may be familiar, but for most it isn't. Consider martial arts training as a way to expand your comfort zone. You will be doing things mentally and physically that you have never done before. You will be in a new, unfamiliar setting as well as introduced to great people that you might not otherwise interact with. Plus, let's say you did train before. Martial Arts training for adults has evolved quite a bit too. It's not just karate anymore. Muay Thai Kickboxing and Brazilian Jiu-Jitsu classes are ever more popular and classes are available now. Still not convinces that a Martial Art is for you? Try Russian Kettlebells, they are a totally "unconventional" way of getting strong and fit.